This is the most unique and flavorful Gouda Cheese you will ever find! 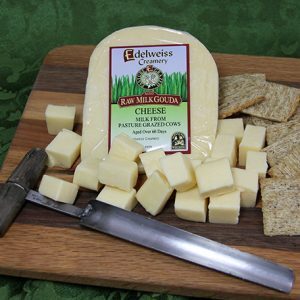 This cheese is limited in availability and we are the only site that exclusively offers it in 8oz wedges! 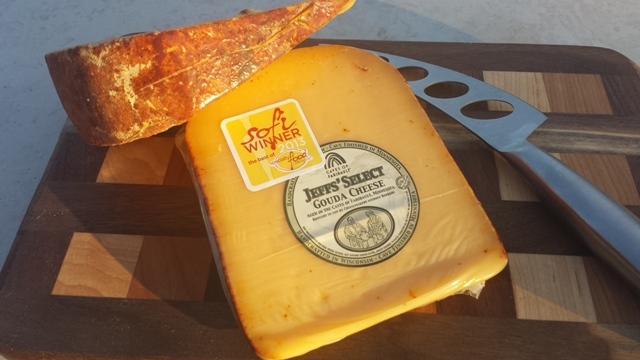 Jeffs’ Select is the result of a collaborative effort between two visionary cheese makers – Jeff Jirik of Caves of Faribault and Jeff Wideman of Maple Leaf Cheese. It is Wideman who makes the cheese, which is then sent to Faribault for aging. Unlike typical Goudas aged in cold temperatures, Jeffs’ Select is aged in the warm and humid environment of the caves. 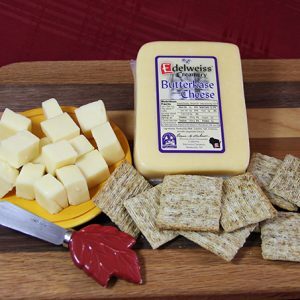 The result is a full-bodied Gouda with a classic European nuttiness and a hint of caramel. The annatto-rubbed rind gives it a vibrant orange color. 2013 Sofi™ Award Winner for Outstanding Cheese or Dairy Product and the 2013 Grand Champion North Central Cheese Industry Association.